Well folks, first we got a dog (which I haven't shared about yet??) and now we are about to get something even smaller. A baby; its a baby. We are all pretty excited over here, but appropriately a little freaked out and nervous. As of now we live in a studio apartment and we have maybe lost our minds and are considering staying put for awhile. Hey, babies are small and take up like a foot of space for quite awhile, right? So we may move, we may not! We are pretty go-with-the-flow types of people, so there isn't too much I end up worrying about. Oh, we also have gotten a few awesome gifts so far. Like this beet toy, hello. Congrats!! I wish you all the best. Oh my goodness. So exciting. Babies will take up as much space as you let them- less space, less stuff, which i have always been in support of. On a different note, come join my giveaway if you'd like: http://goo.gl/ujCKo Would love to have you! Saw this on instagram and was excited then, a little beet toy makes me even more excited now! Reminds me of the cartoon Doug, his favorite band was the Beets. Congratulations. May God give you His Spirit in your time raising your child, and may that child be used to spread the gospel to the ends of the earth. Hooray! Congratulations to you both. What wonderful news! Also, I think you could totally do that with the apartment! Your baby is going to be so incredible! Best of luck to you. Having a baby is so crazy (crazy-good, mostly !) and if you can pull of the baby-in-a-studio thing, you deserve exactly one million high fives. EEE congratulations, what exciting news!!! That beet toy is adorable. I'm sure you can make a studio work with baby... they're tiny and although they do tend to have a lot of stuff, it's pretty easily managed. Have you ever read the blog Chezerbey? Lauren has an 8 month old and she has a ton of great space-saving baby ideas and product reviews. Congratulations on your little bambino! I've always loved the American Apparel baby clothes. 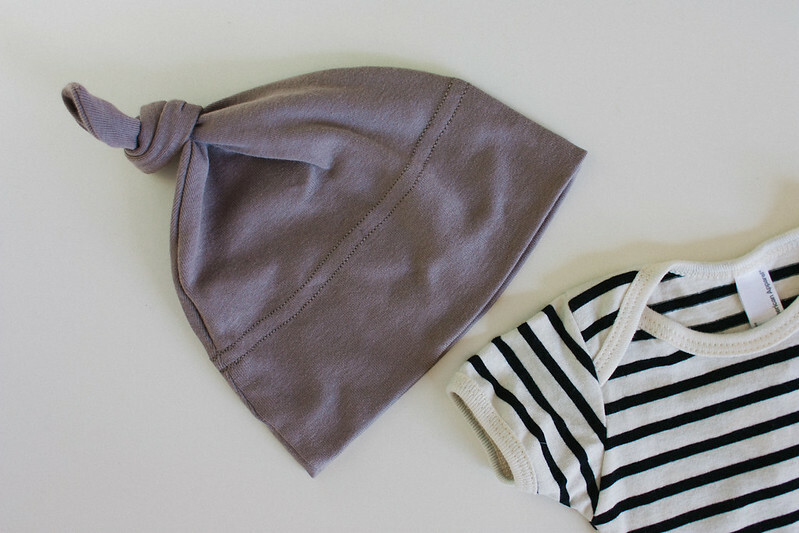 These are such cute pieces for little porter! You three will totally manage in a studio apt. for a bit. 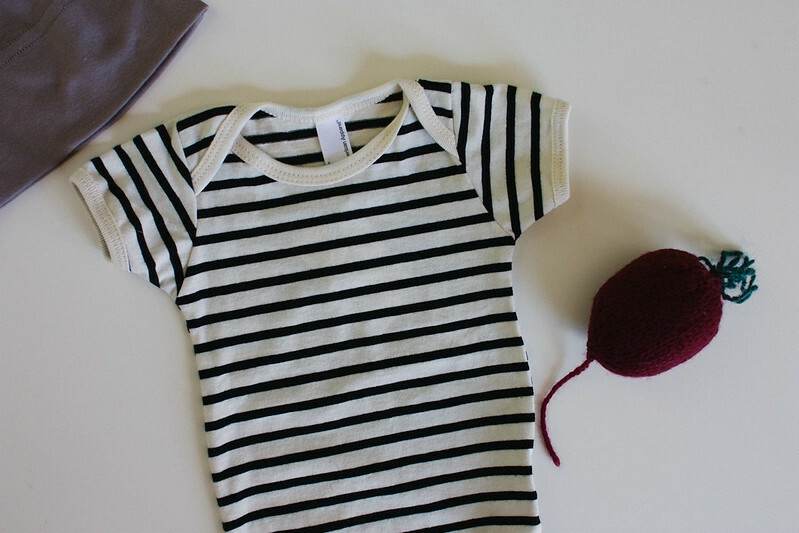 I love the cap and the baby dress idea. It has a lovely style and comfortable for your baby. Congratulations!!!! I love your blog! Found you through skunk boy creations! Hoping the best for you and yours! Happy for you, thank you for posting! Congrats! That little hat is the cutest. P.s. you'll be leaving that apartment, I promise you. Babies need so much stuff, it's stupid. And honestly, moving with a baby is worse. That's going to be the most fashionable baby on the planet, very Parisian!